The snow left behind by this weekend’s massive storm can be seen from space! This image, taken by the Suomi NPP satellite’s VIIRS instrument around 1:15pm EST on January 24, 2016, shows the aftermath of Blizzard 2016 in true color (http://go.usa.gov/cPw29). Whoa what a storm! I’ll be posting more photos of the blizzard of 2016 as time permits. 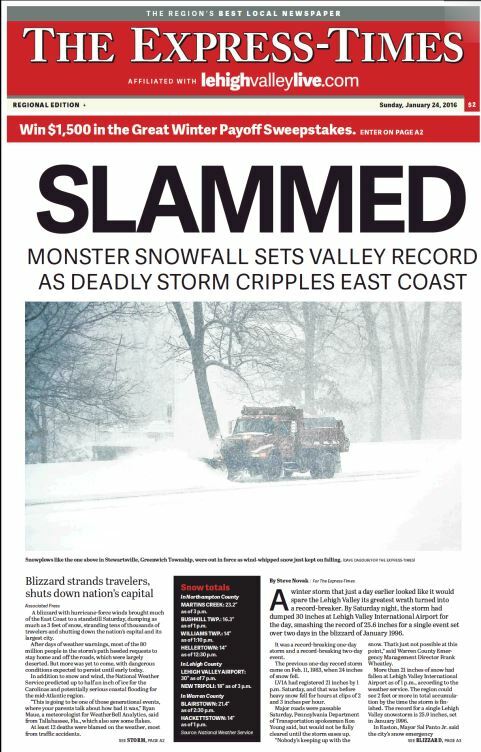 I wanted to share that a photo a took is on the front page of today’s paper – not that anyone will be able to see it since I’m sure delivery will be extremely limited today. But if you have a subscription, you can read the online digital replica for no extra cost. IMPORTANT ANNOUNCEMENT FOR ANYONE WITH TICKETS FOR EITHER SEUSSICAL PERFORMANCE ON SATURDAY, JANUARY 23RD! we have to move our show. Please come at the same time on Feb 6th instead! ALL TICKETS PURCHASED AND SEAT ASSIGNMENTS FOR THE ORIGINAL DATES WILL BE HONORED ON THE RESCHEDULED DATES. IF THE RESCHEDULE CANNOT BE ACCOMMODATED, THEN WE WILL TRY TO WORK WITH YOU TO SEAT YOU IN ONE OF OUR OTHER SEUSSICAL SHOWS. AMANDA PARKER, OUR TICKETING MANAGER, CAN BE REACHED ON 908-797-9324. Here’s a video slideshow preview of the show. 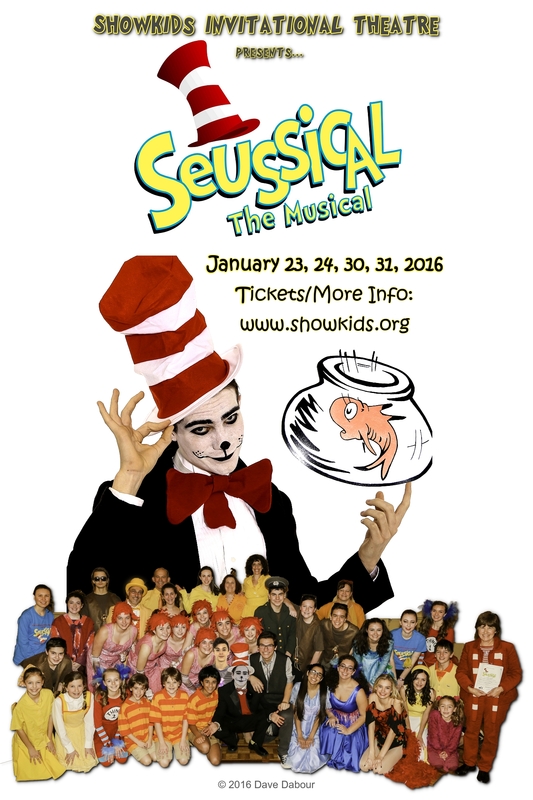 ShowKids Invitational Theatre (SKIT) will be performing Seussical the Musical starting next weekend for two weekends. I had the privilege to create some publicity photos for them. It’s a great funny show that will let you relive your Dr Seuss memories. I recommend getting tickets ASAP! 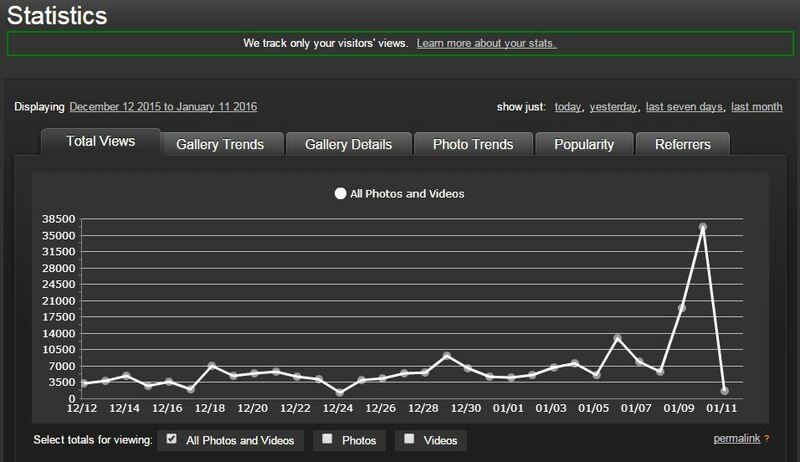 This is what happens when you post publicity shows from a large theater group and a wedding to your photography web site right around the same time! The sharp down at the end is only because it’s 8 am in the morning and the days stats are not finished yet. There are two photo album sizes now available for this. This is the small square. Order online below by clicking on the image. There is also a larger 8×10 album too!